A member of the ACSI discount scheme. 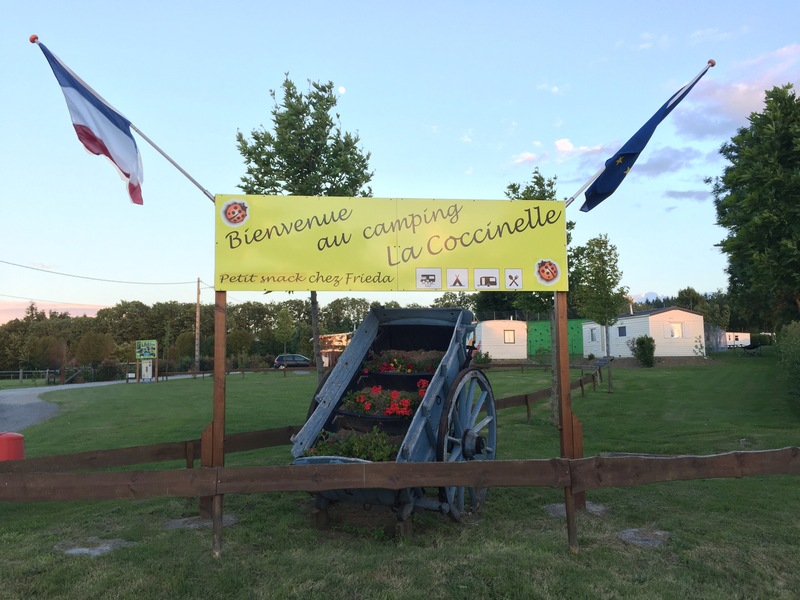 Run by a Dutch couple, Fred and Ria, the site isn’t very big and welcomes tents, tourers and motorhomes. We are walked onto site by Ria, and shown the facilities then onto choose a pitch. Pitches are spacious, grass and separated for privacy by beech hedging. 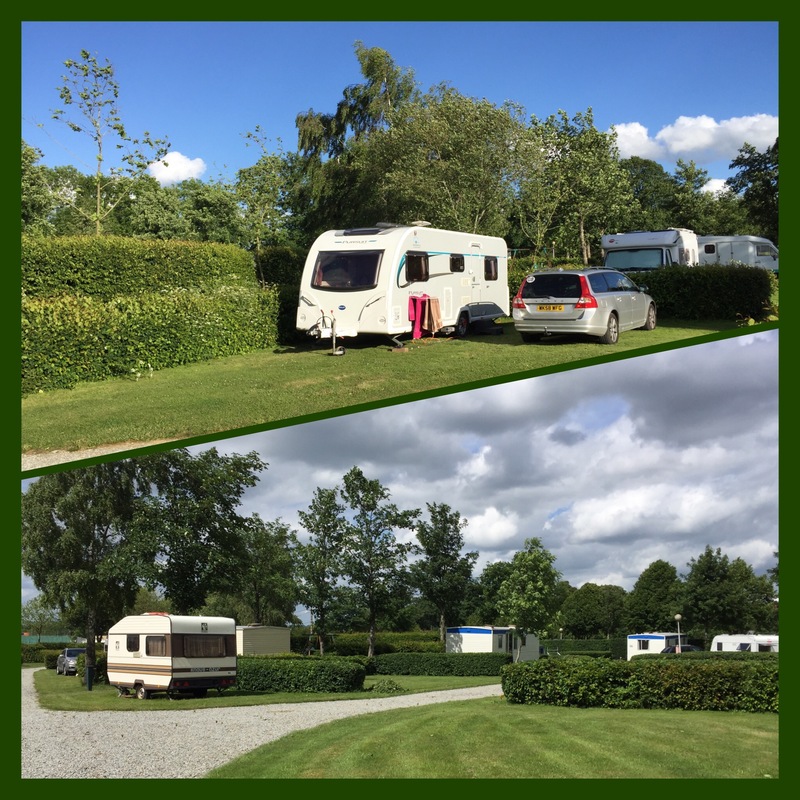 There are a few small static caravans dotted about the place for hire, all seemingly unoccupied during our stay. A swimming pool and play area stands to the side of the site. The pool, alas, was empty during our stay. Plans for it to open mid June. There is also a small playing field to the side of the play area. A tennis court and climbing wall for the kids are located behind reception. 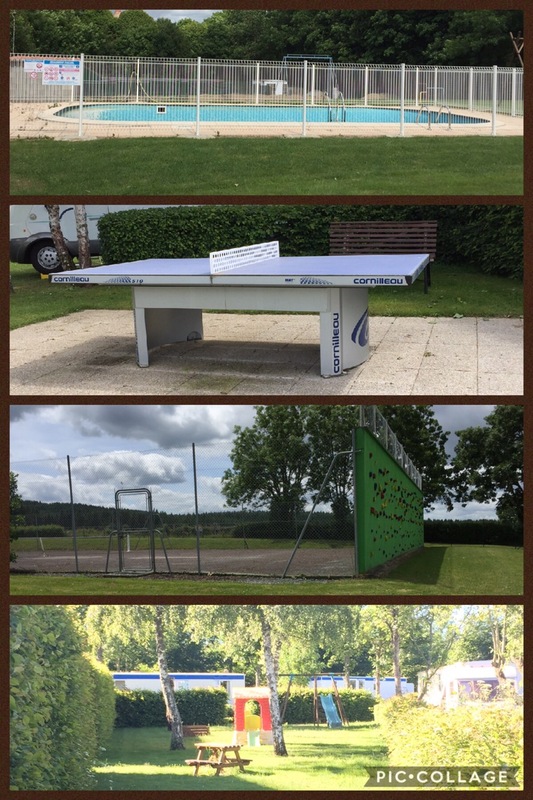 With a table tennis table to the side of the tennis court. 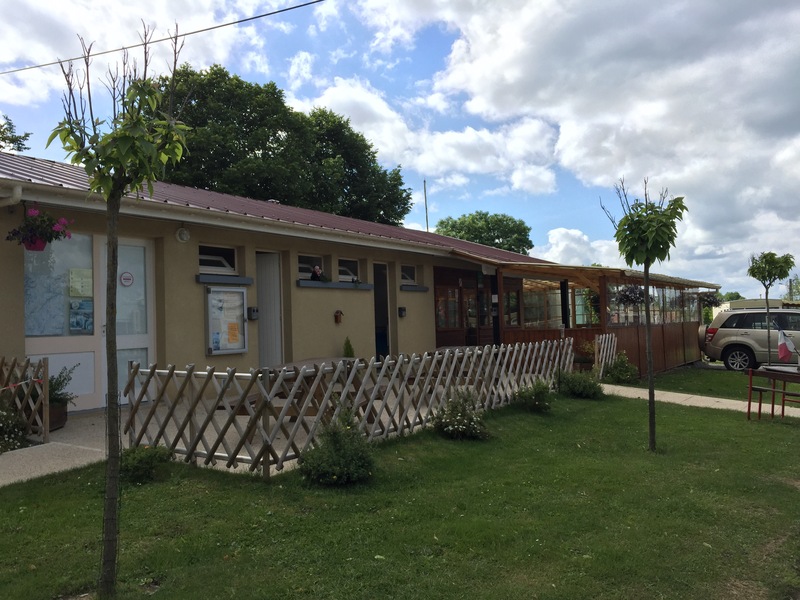 Facilities are communal, a dishwashing sink area and laundry facilities are available at a cost of €6. Wifi is free with strong signals across the site. The best wifi that we have had on the whole 7 week trip. A small restaurant opens six days of the week for a few hours in the evenings, serving pizza on a Wednesday. We didn’t get chance to try out their food sadly. A small library for borrowing or swapping magazines and books is located in a covered area near the toilet block. Dogs are welcome on site and must be kept on a lead. There is no dog walking area but you are able to take advantage of the local walking routes close by. Within walking distance of the village where there is a local store, that sells everything, a bit of an Aladdin’s cave, a bakers and a Huilerie, that sells local oils, soap, beer and other products. We paid €25 for two nights for two people including visitors tax.